Live Panel Presentation on "Keys to Nonprofit Success: Branding, PR & Fundraising"
Panel Presentation: "Key to Nonprofit Success: Branding, PR and Fundraising"
Panelists Filomena Fanelli, owner of Impact PR & Communications, Ltd, a boutique, strategic public relations firm based in NY's Hudson Valley region, Molly Ahern, owner of Full Deck Design, a boutique graphics design firm specializing in web and print media and Jennie Stokum, the Nonprofit Gardiner, will speak on the fundamentals that nonprofits need to be successful. They offer a range of customized fundraising solutions, including strategic fundraising plans, foundation research, grant writing, annual appeals (both mail and online), donor stewardship, crowdfunding campaigns, and Board engagement. Formed in early 2006, the Mid Hudson Valley Chapter is one of the newest chapters of the International AFP. Prior to our existence, AFP members had to travel to the Capital Region or New York City to attend chapter events. Our chapter provides resources to fundraising professionals who serve approximately 4,500 public charities registered in the six counties in the Mid Hudson Valley including Dutchess, Orange, Putnam, Rockland, Sullivan, and Ulster. 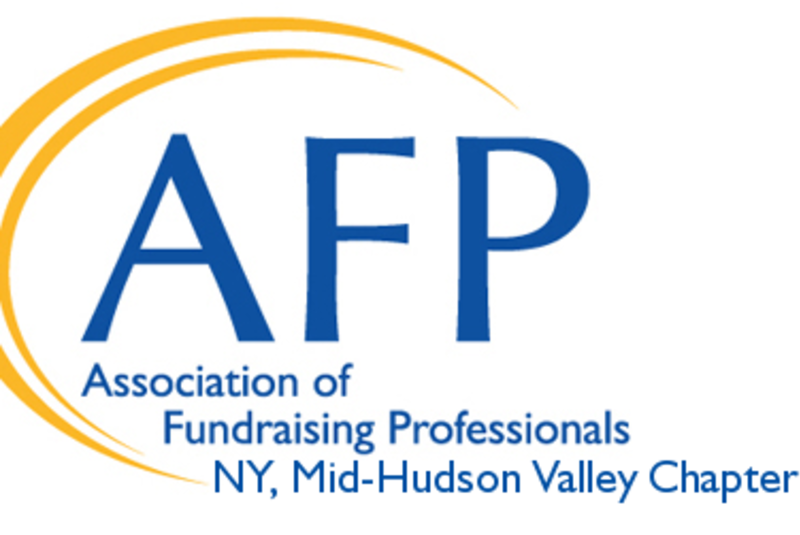 AFP of the Mid Hudson Valley often works in collaboration with other professional development organizations in the area to organize educational opportunities of the highest quality through pooling of resources. • Regular web/audioconferences on topics of interest to fundraising professionals, board members and othernonprofit managers. These conferences are provided by International AFP and are hosted by chapter members in locations around the six county area of the Mid Hudson Valley. There is a no fee for members to attend these events; nonmembers are also welcome at a $20 fee. • Networking events where we can meet and mingle in a relaxed environment with others in our field. These occasional events take place "after hours" at local restaurants in the area. • Special programming such as a National Philanthropy event and other events with special guest speakers.